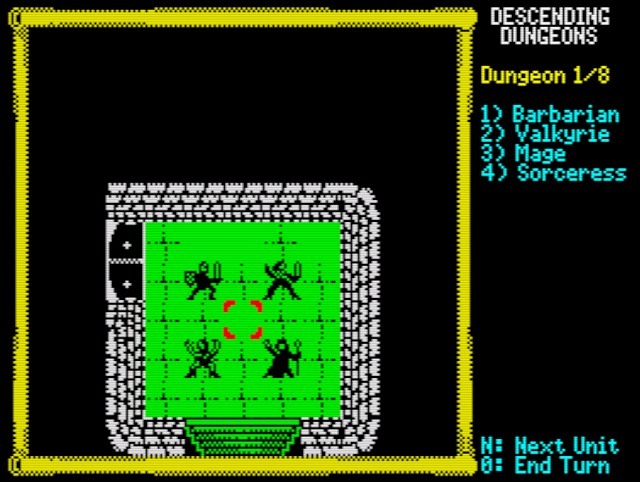 Another release for the ZX Spectrum and this time not an arcade game, is CatWeazle's Dungeon Crawler ' Descending Dungeons '. An entry for the ZXDev2015 and still a work in progress title, hence beta. You must guide 4 adventurers deep into a randomly generated dungeon to discover treasure and to defeat the evil dragon. 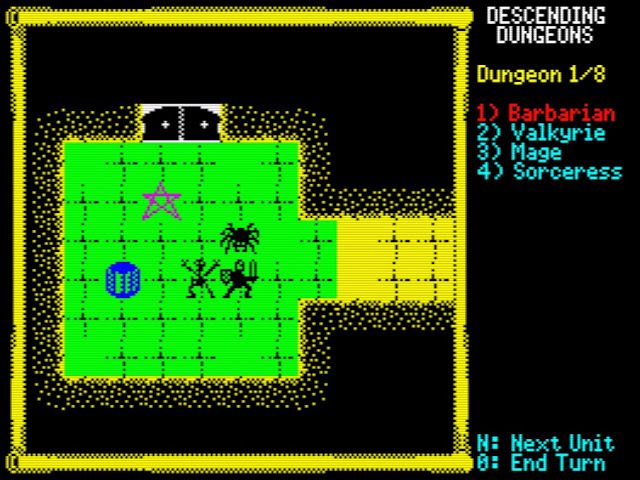 This is a turn-based dungeon crawler, developed in a mixture of C (Z88dk) for the logic, and ASM. I haven't played this Dungeon Crawler for very long, but already I can see the makings of a great game, especially if you are into RPG's of this type. But from those that have played it longer than me, have given their feedback such as 1) " Bloody excellent!!!! Yes, it's a beta version and there are a few bugs at the moment, this game has Rebelstar potential!! There is some corruption of the text display and the red cursor has a habit of zipping around the screen without being seen" and 2) "Nice demo ". So to see for yourself if this early beta is worthy of high praise, download it from the link below.